During the summer months of July and August, our Tourism Ambassador will be on the wharf to welcome you to Tancook upon your arrival. At that time, he/she will be pleased to answer any immediate questions you may have about your visit. He/she will also have island maps and general visitor information on hand to help you begin your adventure. We hope you’ll also take some time to visit our Tancook Tourism Center for more detailed visit information. 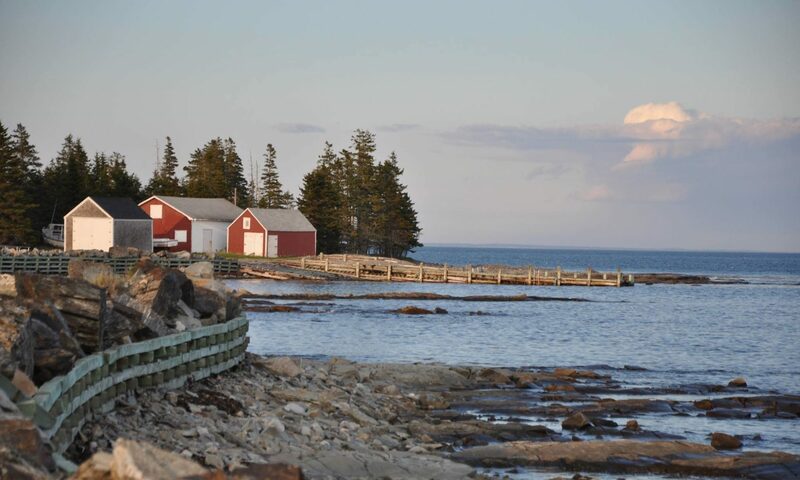 Our center is located in the Tancook Island Recreation Center which can be found on the school road just a short walk from the wharf. Please visit out Rentals page for places to stay. Washrooms are available on board the ferry. On the island, visitors are welcome to make use of the public washrooms located inside the Tancook Recreation Center during regular hours of operation. Outside of these times, public outdoor toilets are available at the far end of the Recreation Center field. It is important to remember that we are a rural coastal community in the truest sense of the word. This means that you should come prepared to walk or bike if you plan on exploring the island. We also sometimes experience sudden changes in weather due to our ocean proximity, which means you should pack for your visit accordingly. Should a medical emergency arise, you should dial 911 as usual. Emergency Health Services will dispatch the Big Tancook Island Emergency Response Association’s Medical First Responders to assist you. Depending on the assessment of a patient’s condition, departure happens by ferry and ambulance, or LifeFlight Helicopter (in extremely rare circumstances).